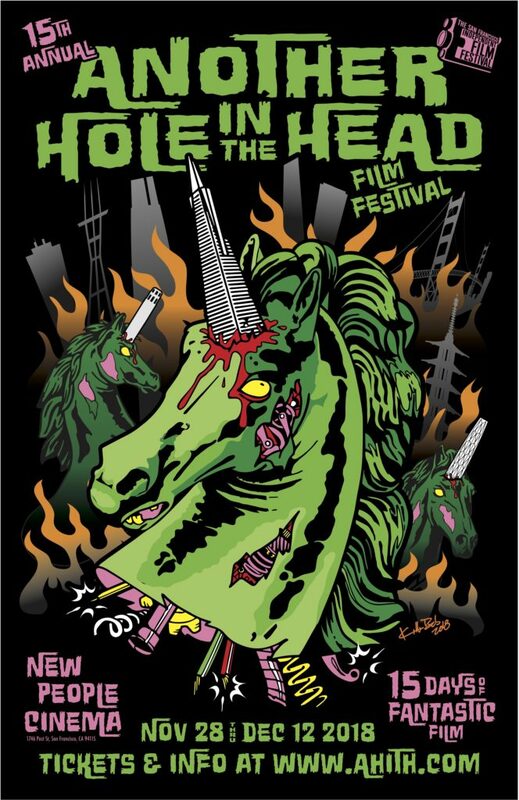 CALL FOR ENTRIES OPEN for the 16th ANOTHER HOLE IN THE HEAD Film Festival (Dec 1-15). the world and it’s amazing how far we’ve come and grown. Our annual festival of phenomenal cinema defies convention and presents films from both emerging and established filmmakers from all over the globe. 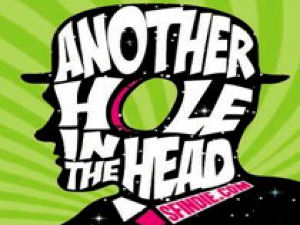 Another Hole in the Head gets great press coverage and film reviews. Many films that screen at the film festival sparks the attention from other film festivals and film brokers/buyers. San Francisco is the second largest film market in the country and a great promotional platform for indie filmmakers who are trying to get their film out into the world. The films and festival get reviews for some on the top players in the industry like Variety, SF Chronicle, Bloody Disgusting, Way Too Indie, Dread Central, Bloody Disgusting, and Twitch just to name a few. In 2017 the festival screened 84 shorts and 26 features and was attended by over 3500 film goers which was a 20% increase in attendance over the year before! San Francisco is a very receptive town for film and our fest has built a passionate following over the past 14 years. The Festival will take place at the New People Cinema in San Francisco’s Japantown. New People is a 143 seat (literally) underground cinema located below street level. Equipped with a HD digital projection, 35mm film projection and THX®-certified sound system, NEW PEOPLE Cinema is home to local film festivals including the San Francisco International Film Festival, CAAMFest, Green Film Festival, and the Japan Film Festival of San Francisco.